I was recently reviewing a product for Curls Understood when, as I was scouring the ingredient list before putting it into my hair, I realized that it had silicones (a silicone ingredient is basically anything on the list that ends in ‘cone’). My initial reaction, strongly influenced by being a fairly devout Curly Girl for so long, was “Blech!” Although for years I used silicones on my hair with reckless abandon, for over two years now I have abstained from putting anything silicone-esque on my hair in the fear that it will suddenly warp it back into the untameable mess it once was (and oh, my friends, what a mess!). Instead of my typical knee-jerk reaction, however (and because someone had kindly sent me a wonderful, free product that was free from animal testing and featured many organic ingredients), I decided to put in the time to do some research on what the heck silicones are, what ones are acceptable, and what ones should never make their way onto your hair. Silicones are this wonderful, slip-causing ingredient that makes your hair feel slippery, shiny, and sparkly in the shower. However, under this smoothness lies a bit of grossness: they are difficult to wash out, and will often contribute to product build up in the hair. Over time, this can mean a weighted down, greasy-ish mess. The only way to wash out the build up is with our old frenemy, sulfate-laden shampoo. I don’t know about you, but that ish dries my strands out, badly. In addition, some silicones are excellent at keeping moisture IN your hair, but they also simultaneously keep moisture OUT. They are found in products that promise frizz-free gloriousness, but at a cost: they are robbing your hair of absorbing any additional moisture. Over time, this can dry out your strands and actually contribute to more frizz (xovain). Me after using a product with (trace amounts of) silicones. But I Want Silicones, Dammit! Not to fret — there are many natural curl sisters out there, and even Curly Girl followers, who are able to use silicones effectively without hurting their strands. For example, I use them very sparingly – once every few months, maybe – when I’m looking to rotate in a product and change up my routine a bit. In fact, some silicones even become water-soluble (meaning they won’t create build up on your hair!) when paired with additional ingredients. 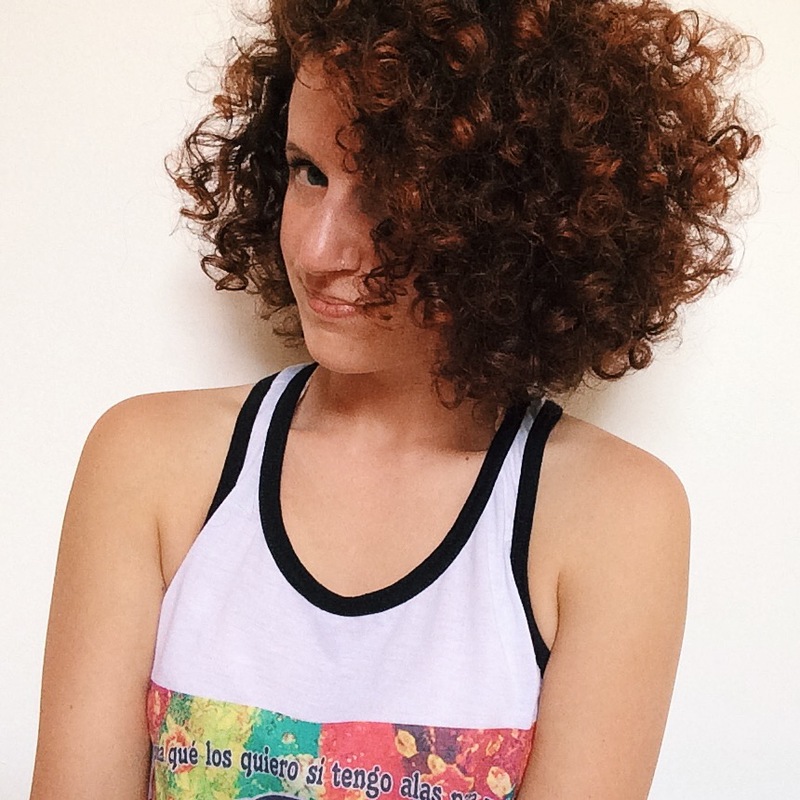 For a more comprehensive list of water-soluble silicones, plus ones to avoid, check out this incredibly informative Naturally Curly Hair Community thread. Basically, read your ingredient list, my curly friends, and be wary of silicones, but also do your research. Figuring out your hair is a bit of a time-consuming process, but I promise you that it will pay off in dividends when your hair decides to finally start loving you back. Hi, Jess! I super love your hair and applaud your healthy lifestyle 🙂 I nominated you for a Liebster award: https://sarabieventide.wordpress.com/2015/08/22/ive-been-nominated-for-a-liebster-award/. Have fun!